Find out about AAA discounts. 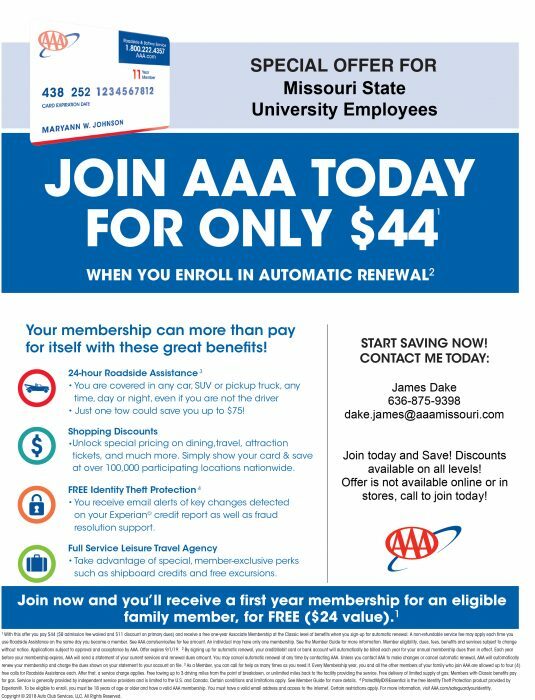 AAA is offering Missouri State employees several discounts on all levels of membership. James Dake is responsible for group discounts. To receive these incentives, contact him. This is only for new members.